A bit of a ragbag, the DA (mono) and ZDA (stereo) 12 inch LP series, issued by Argo between 1962 and 1975. With each album retailing in 1962 at 36/8 (including tax), the series includes a fair bit of Transacord Railway recordings (in red in the list), spoken word (in yellow), jazz (in white) and folk (in green – including re-releases from the RG and ZRG series). Plus other bits of miscellany (grey) that probably didn’t fit into the other Argo series running at the time. 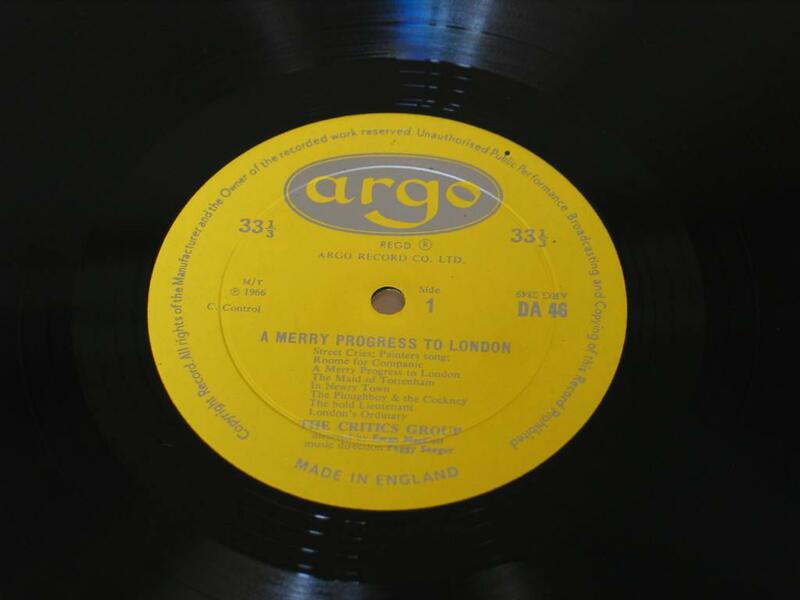 Thanks to Argo recording engineer Iain Churches for his help in compiling it. There are lots of holes in it, but I can’t for the life of me find what’s supposed to go in them. ZDA 19-20 a) Elsie Morison (soprano) Pamela Bowden (contralto) Richard Lewis (tenor) Richard Standen (bass) Royal Liverpool Philharmonic Chorus & Orchestra cond John Pritchard b) Orchestra of the Royal Opera House, Covent Garden cond John Pritchard. DA 38 Cdr A. B. Campbell, Cdr R. T. Gould, Philip Guedalla, Sir Julian Huxley, Lady Barbara Ward Jackson, Prof C. E. M. Joad, Donald McCullough, Sir Harold Nicholson, Sir Malcolm Sargent. Recorded with coop. of BBC Radio Enterprises The Brains Trust 1967? ZDA 100 The Yetties & Sherborne Town Band Up In Arms Sep 1974? ~ by folkcatalogue on March 15, 2010.